A new update has been released today for Mario Tennis Aces, introducing new content to the game. The 3.0 update, which is now live in all regions, introduces a new single-player mode called Ring Shot, where players have to send the ball through the rings that appear on the screen. This mode can also be played with another player. A variation of this mode called Yoshi’s Ring Shot has also been added. This mode is also going to be available as an online co-op mission until June 1st. The 3.0 update also adds a new cutscene which sets up the game’s story. 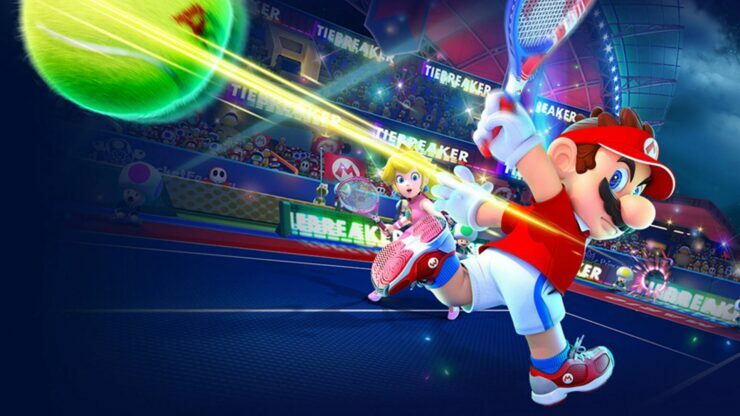 Despite releasing with a limited amount of content, Mario Tennis Aces is among the best entries in the series and one of the best games released on Nintendo Switch. Mario Tennis Aces is one of the best Mario Tennis games, and well worth it for gamers that love to sit back with groups of friends. If you appreciate a good game of tennis with some whacky rules to spice it all up, you’ll surely enjoy this. Mario Tennis Aces is now available world in all regions exclusively on Nintendo Switch. The next additional character, Dry Bones, will be released on May 1st.